This is my favourite time of year. It always seems to approach faster than I expect, and it’s over before I know it. Maybe that is why I love this time of year because there is an energy about that you don’t feel at other times of the year. I also happen to love gift-giving. Not trying to sound overly cliché, but the smile on people’s faces when you hand them something that is beautifully wrapped and thoughtful means so much to me. It is not about it being expensive necessarily, although you all know by now that I think it’s worth spending a bit more on a gift in hopes that is a keepsake. Handmade, artisanal, handcrafted products take time and cost more. That is a fact. But I’d rather have one amazing gift than a pile of things that I will never treasure. Enough about all that as you already know how I feel about all of this. Let’s get to the good stuff! The stuff! 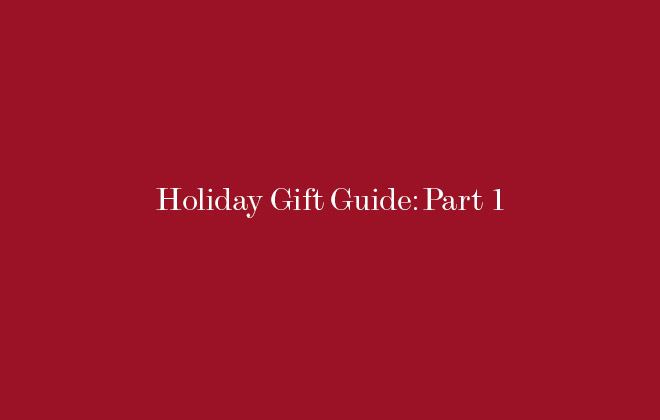 By the way, compiling this holiday gift guide is so much fun for me that I decided to do it in two parts. Here we go! 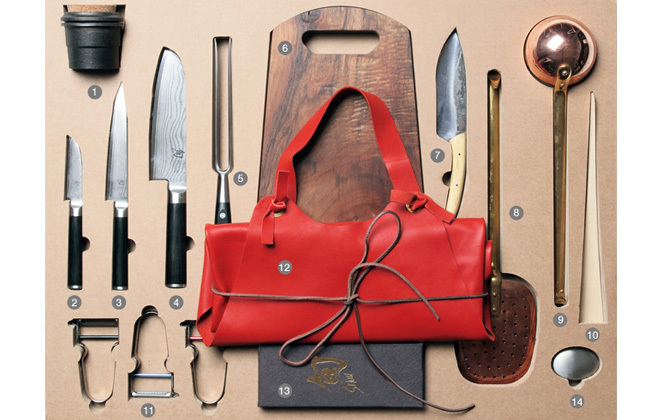 Malle W. has created the ultimate trousseau filled with everything you could possibly need to “cook, cut and contain” as they say. The entire chest is filled with quite the loot, but they also sell individual trays for each collection. I absolutely love the “Cut Tray,” as it is stocked with everything from walnut cutting boards, top of the line knives, grinders, peelers, and even a beautiful calveskin apron – all handmade from around the world. This is the ultimate gift for your cooking enthusiast! 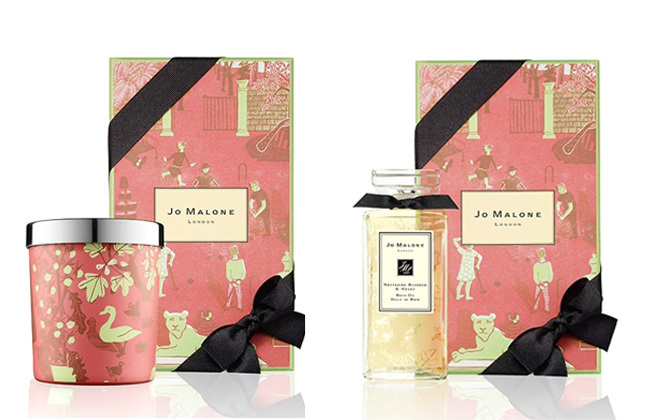 Two of my favorite things: Jo Malone scents paired with the fabulous illustrations of Marthe Armitage, makes the perfect gift set or hostess gift for the Holiday season. Marthe, who is now in her 70s, still hand-draws all of her unique illustrations that are made into wallpapers, and for this special edition, Jo Malone packaging. I so admire her commitment to her craft, and paired with the lovely scents with Jo Malone. Just don’t think I’d be able to ever use it! 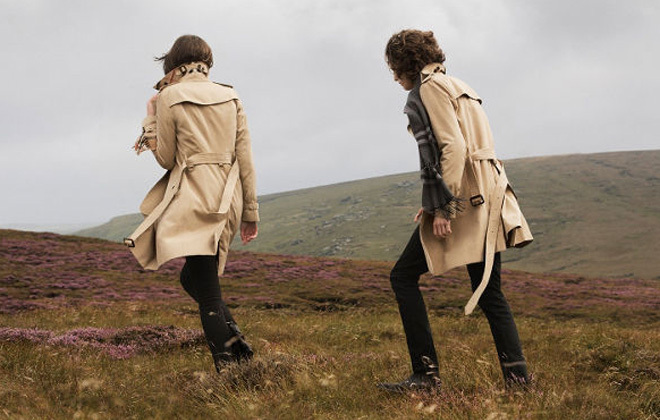 The classic Burberry Trench for him and her. The British Isles are famous for their misty grey vista’s, so what better way to brave the elements this winter than in style – British style, with a classic Burberry Heritage Trench Coat. There are somethings that are just made right, so when looking for that functional, yet stylish trench, Burberry is the best of the best. Made in waterproof gaberdine, which was developed by Thomas Burberry in 1879, the innovative fabric remains breathable and weatherproof, which revolutionary then, and continues to stand the test of time to this day. 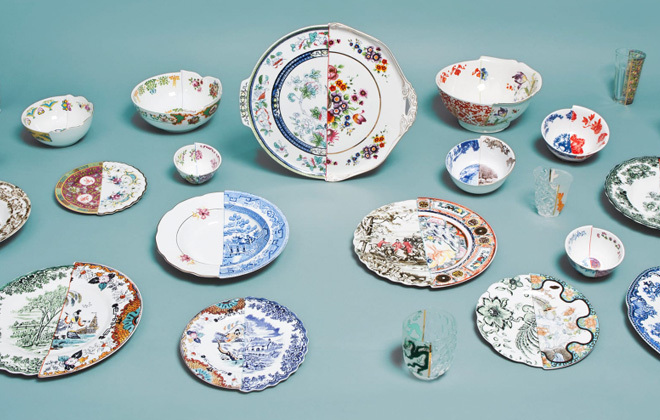 How cool are these Hybrid tabletop wares from Seletti? For someone who goes crazy for patterns, I just love that this mix-and-match set allows for maximal prints! The collection is comprised of classic china patterns, but each unique piece brings together a print from east and west, bringing together these distinct traditions, while celebrating their differences. With plates, bowls, and glassware to choose from, the pattern and print combinations are endless! Mah-Ze-Dahr Tote of Pastries, including Intelligensia Coffee. 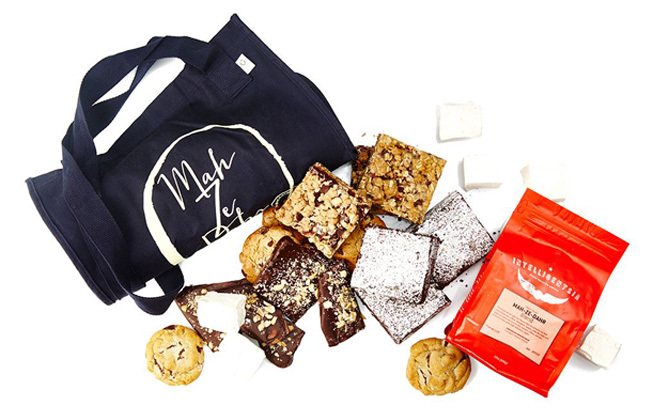 Artisanal cookies, brownies, sweets and marshmallows, paired with Intelligensia Coffee, all wrapped up in a cute 100% cotton tote. Need I say more? This Tote of Pastries from Mah-Ze-Dahr Bakery is such an excellent gift because who doesn’t love a sweet treat, paired with delicious coffee – and then when their all gone, you still have a great tote. Actually, I do have to say more here, because this bakery in NYC is amazing. I will write about it more detail soon.